As a paralegal for Interstate Hotels, Priyanka Das Sarma worked closely with the human resources department to interpret the nuances of employment law. Still, she was surprised to get a call from the company’s head of HR encouraging her to apply for an opening as a benefits manager. Das Sarma held a law degree from her native Singapore and had no direct experience in the human resources field. But she landed the job just in time for the hospitality company’s first day of annual benefits enrollment. So, her orientation consisted of poring over plan documents and fielding phone calls from employees asking questions about health insurance, retirement plans, and more. 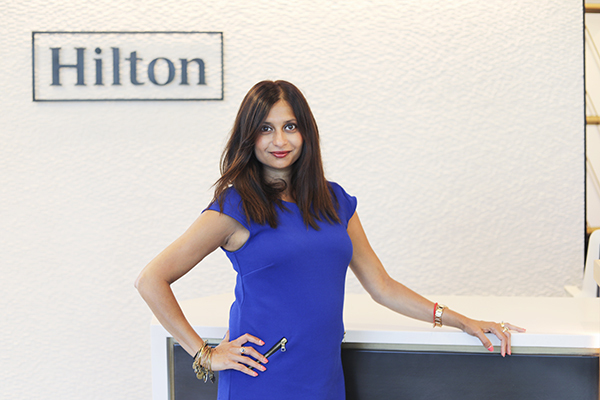 Das Sarma, who now serves as the director of benefits for Hilton, has seen a lot of changes in the nearly twenty years since her first frenetic day in the industry. The benefits business has expanded to encompass new offerings to meet the needs of a changing workforce and world. Das Sarma says she’s excited by the industry’s evolution and the opportunity it provides to design different plans. “Historically, benefits’ bread and butter has been healthcare benefits. It was offering medical options at a reasonable rate,” she says. But, as healthcare costs continued to rise, she and other benefits managers found it increasingly difficult to effectively control costs for companies or employees. Hilton has tried to answer that question in both big and small ways. For instance, it offers team members financial assistance during an adoption and all new moms get ten weeks paid time off after having a baby once they’ve worked at Hilton for at least a year. Dads and adoptive parents get two weeks of paid leave. When it rolled out its formal paid leave policy in 2016, the company wanted to extend it to both hourly and salaried employees—a fact that grabbed headlines at the time. Less-publicized benefits include Hilton’s recent extension of bereavement leave from three to five days, accident insurance as a voluntary benefit, and a ten-day advanced scheduling program aimed at helping hourly employees manage their other daily commitments and plan for upcoming special events. The company also recently introduced new financial wellness resources, a fitness discount program, and a back-up care program for employees who need child- or eldercare on short notice. “I think the spectrum has moved from the bread-and-butter medical and dental benefits to coming up with creative ways to help team members take care of themselves and to take care of their families,” she says. The Go Hilton travel program, which offers discounted room rates and other benefits to team members and their friends and family members, is also an important recruitment and retention tool for the company; and it encourages all the employees to take advantage of the rejuvenating power of travel, Das Sarma says. It also fits right under the company’s umbrella program called Thrive@Hilton, which aims to address employees’ well-being through three lenses—mind, body, and spirit. Hilton implemented the Thrive program in 2017, and Das Sarma says it really has changed the way many team members operate. For instance, the program prompted supervisors to talk with employees about how and when they work best and make more accommodations when it was possible. Another part of the program, the Thrive Sabbatical, allows ten team members to either “give a dream or live a dream.” Winning program applicants are given four weeks off with full salary and benefits and a $5,000 stipend to fund their dream. For twenty runners-up, Hilton donates $1,000 in their name to the charity of their choice. The inaugural class of sabbatical winners included a Hilton sales director who worked with the Lions Club to set up temporary eyeglass clinics that served as many as 1,500 people a day in remote villages in Mexico, and a Bogotá, Colombia-based hotel bartender who traveled to distilleries and vineyards around Europe to sharpen his skills while on sabbatical.